Hills Bank and Trust Company was founded on the principle that banks should care about the people they serve, and provide ways to help them prosper. With this philosophy, they have grown to become one of Iowa's largest independent banks. Achieving this growth the old fashioned way - by earning their customers' respect, one at a time. This is the way they've been doing business since 1904 with their roots in Hills, Iowa. 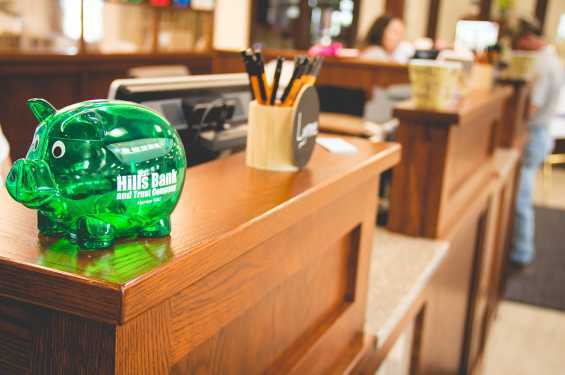 Hills Bank's large asset base and community orientation allows them to offer the advantages of a large regional bank while maintaining the responsiveness of a community bank. They are actively involved in the community. Establishing a variety of programs - from a focus on reading with Summer Reading Programs and visiting authors to investing in education with different Classroom Cash to supporting local merchants with their Shop Locally campaign - it is their goal to make a difference in the communities in which they work and live.